"I have had Judy represent me several times in the past, two times as a buyer and once as a seller. Her work ethic is excellent! She was readily available when needed, extremely knowledgeable, informed and always very pleasant. It is also very apparent that she is well respected by her peers. We were continually reassured that we were in good hands by other agents/brokers when we told them we were working with Judy as we signed into open houses. I feel very lucky to be represented by such a professional and competent agent as Judy, she has helped to make stressful moves much easier." "This is the 3rd transaction I've worked on with Judy. I cannot say enough great things about her intellect, patience, and honesty. I believe she knows the market better than anyone I've interacted with, and she's not afraid to talk you out of purchasing a property if she thinks it's lacks value and potential. Simply put, Judy isn't in it for the quick $ (like most agents) she is there to make sure you select the right property, at the right price, at the right time. As an owner of several homes, I can honestly say she's the best I've ever worked with by far." "Judy and her team are very professional. She has very good insight in current real estate market. She did not waste any time in preparing our property for sale. Once in market she sold it in 3 days. If you are looking to sale or buy, she is the one I recommend." "Judy and her team helped us sell our Boston condo. It was a seamless transaction from start to finish- we never had to worry about a thing-a consummate professional." "I found Judy to be a very detail-oriented and meticulous agent who was an asset to my search for a tenant. She sourced tenants quickly, held numerous showings, and finally matched me with tenants who could not have possibly made my life any easier as a first-time landlord. I would highly recommend her, and would not hesitate to use her again to find future tenants." "I've been fortunate enough to work along side Judy on many real estate transactions over the past 8 years. In working with her, I always know that her side of the business will be handled efficiently and professionally. She's always on top of the details, no matter how minor. In addition, she always seems to develop a great rapport with her clients. She's a pleasure to work with and I can't recommend her enough." "I hired Judy to sell my Back Bay property in early 2011 to move out of state for a job relocation. Judy prices properties well, gets a tremendous amount of foot traffic through the door and when it comes to negotiations, Judy is the agent you want on your side. Judy got me multiple offers in a troublesome market and I sold my condo for what I wanted in less than 3 months. As a former realtor in the Back Bay, I had my choice of whom I wanted to sell my property, and I didn't hesitate with signing a contract with Judy. She is my first choice with all things Boston real estate, and should I move back to that market, she would be my first call." - Bob & Bonnie W.
"Judy worked with me to sell my home over the summer. Her and her team were responsive, professional, honest, and realistic. Her initial presentation was a clear and complete roadmap of procedures and expected costs. She is hands on yet not overbearing and is completely versed in the current market situation. Her strategy was realistic and fair. She is a true professional and it was a pleasure to work with her. I highly recommend Judy and her team at Gibson Sotheby's whether buying or selling a property." "Judy delievered to me my dream home in the Back Bay. I interviewed five realtors by phone and selected Judy. The reason for my selection is that she was the only realtor who truly wanted to understand what I was looking for, and she took the time to make sure she really understood. She did not waste my time, and worked tirelessly to deliver. Simply put, call Judy - she IS THE BEST." "Judy is a consummate professional. She handled all details small and large. Our sale was painless and efficient. We can't recommend Judy enough." "Judy Pagano was very helpful for us to find a second home in Boston. After few showings, she knew exactly what we were looking for and within our budget. We recommend using her services highly." "We have bought and sold several condominiums in the Boston area over the years, and Judy Pagano is the best broker we ever had the pleasure to work with. Before our first meeting with her, she thoroughly investigated comparable properties and gave us a well-reasoned suggested selling price. Within weeks of our decision to work with her in selling our condo, she advised us of how best to present the condo, arranged for and took beautiful pictures, held an open house, and generated two offers at or near our asking price. As the process continued, she helped us negotiate some sticky issues with the prospective buyers, with excellent results. I would highly recommend working with Judy to sell your condo." "Judy was knowledgeable of the local market and made helpful recommendations. She was transferred to my wife and I from a colleague of hers who moved out of state. Timing wasn't right for sale of property and we switched gears to rent the unit. Judy was instrumental finding a tenant within 1-2 days. Once the perfect timing approached, Judy got back in touch with us to get things prepared for the new season. On the 1st open house, the perfect buyers presented themselves. Judy is very professional and is always available to answer any and all questions (24/7). We would highly recommend her to anyone." "Judy did a fantastic job helping me buy a condo in the South End as a first-time buyer. She helped me get a beautiful condo that I loved and that was just right for me. I would use her again in a second. As a matter of fact, I did. Ten years later, she helped me sell my place. It sold in about 3 days for above asking-price. I would definitely work with Judy for buying or selling a home in Boston." "Judy gave us a great deal of knowledge about living in the Boston area! She showed us many different areas and explained how the towns are different and how the real estate market and schools are vital to the community. It was really great working with her since we had moved from Albany NY and did not know what to expect in the Boston metropolitan area." "Judy was wonderful to work with on our new home search. We relocated to the Boston area and she jumped right in to help us get acclimated and informed on the various towns and neighborhoods in the area. Judy was always prepared, on time and informed for our house hunting tips. Not only is Judy a great agent she is also a thoughtful and delightful person to spend time with which is important when you are house hunting mode. I highly recommend Judy if you are looking for an agent in Boston or the areas that surround it." "Judy was fantastic! We needed to find a home very quickly as part of a corporate relocation and Judy was super responsive, tremendously knowledgeable and truly a pleasure to work with. She helped us find a home that we love in a town that is perfect for us. I cannot recommend her highly enough. If you are looking for a home in the Boston area, call Judy!" "We met Judy and her associate Johanna when we were thinking of selling our condo. We met with several realtors, but were hugely impressed with Judy and Johanna's knowledge of the area, marketing strategy and overall attitude and excitement. The did not disappoint - they made selling easy, and when we were then in need of finding a house, they were more than willing to do whatever they could to help us out! They were always available via phone or email, were able to make showings whenever we were available and helped us work through different towns and neighborhoods to find the right fit - on top of it all, we were able to close on both properties the same day and have a seamless transition from one house to the next. Overall, I highly recommend working with Judy and Johanna - they were fantastic partners that helped make the buying and selling process as seamless as possible!" "Judy and Johanna helped me purchase a beautiful home in April 2017 and then we listed my condo for sale that same month, which went under agreement after the first open house (with many competing offers). I primarily dealt with Johanna who is knowledgeable, responsive, thoughtful, and stays calm during any situation thrown her way. 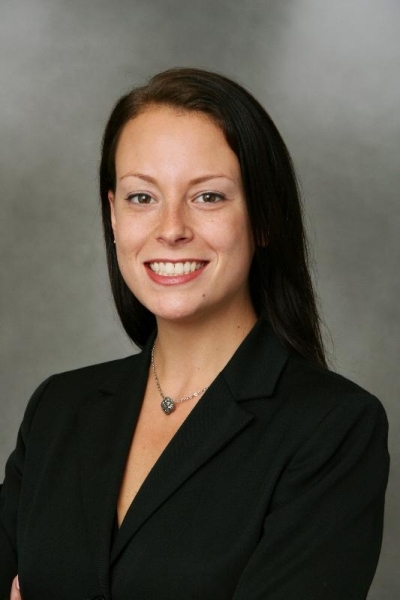 If I buy or sell another property in the Boston area, Johanna will be the first person I call. Thank you!" "Judy and Johanna have a STRONG NETWORK, critical in the very competitive Boston market!!! This year, Johanna identified and negotiated the purchase of a property in the most coveted location, before it went to market. WOW! Prior, she identified and negotiated another investment property that has already increased over 50% in value in less than 2 years. And the range of expertise continues, she also leveraged her network to rent out my properties to the best qualified tenants. STRONG NETWORK, pleasure to work with, trust worthy, and represents your best interest."